The Renault iPod interface allows you to connect your iPod or MP3 player directly to the CD changer port of your original car stereo for the best possible sound quality, it will even allow you to control your ipod through the controls on your stereo and steering wheel. This iPhone iPod interface connects directly to the CD changer port on your original headunit to give you the best possible DIGITAL sound quality. Control your IPOD through your existing car stereo controls and Steering Wheel where fitted. With the interface you can perform all functions that you would normally use with your Car CD player to control your ipod. You can select tracks, rewind, fast forward and adjust the volume through your original car stereo. Whenever you connect your ipod you can have full reassurance that it is being charged, you will never suffer any interruptions due to loss of power. With the iPod connected, you can continue to use the functions on the iPod as though listening through your headphones; have full access to all the normal functions and view your iPods display as normal. Alternatively you can control through the stereo functions. 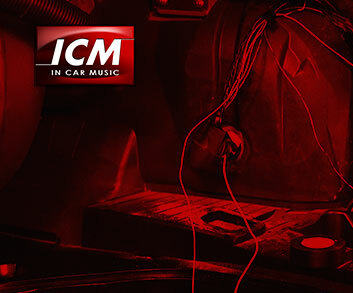 The interface connects directly to the existing CD Changer port on your car stereo. Instructions to remove your car stereo to access the CD changer port can be found through many online resources, car manuals or by a local installer. On most cars the unit can be installed in approx 30 minutes. The Renault iPod iPhone Interface has an additional 3.5mm headphone jack connection . If you do not have an iPod then you can connect a device that has the 3.5mm headphone jack output.